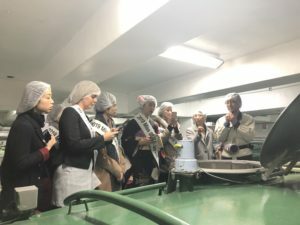 1 On March 17th, I went to Gekkeikan Sake brewery tour with four Miss SAKEs from overseas. 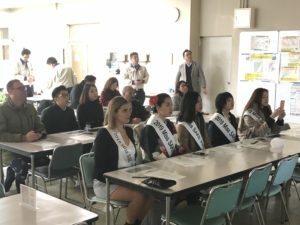 On March 17th, I went to Gekkeikan Sake brewery tour with four Miss SAKEs from overseas. Hello, everyone. I am 2019 Miss SAKE Sae Haruta. On March 17th, I went to Gekkeikan Sake brewery tour with four Miss SAKEs from overseas. Gekkeikan was founded in 1637 by Jiemon Okura in Fushimi and it is one of the world’s oldest companies. Gekkeikan made a great progress in the age of the 11th generation owner Okura Tsuneyoshi. He said, “Sake making is made up of science,” and introduced science and technology to sake making in 1909 (Meiji 42). In 1910, Gekkeikan invented a small bottle with a cup. It is a product of an innovative design that is equipped with a cup so that you can enjoy sake even when traveling for a long time on a railway, etc., and also has a table with a swinging opening so that the contents do not spill even if the train shakes. It gained popularity due to its ease of drinking and portability, and it became an opportunity for the laurel crown to become widely known as the railway network spreads. 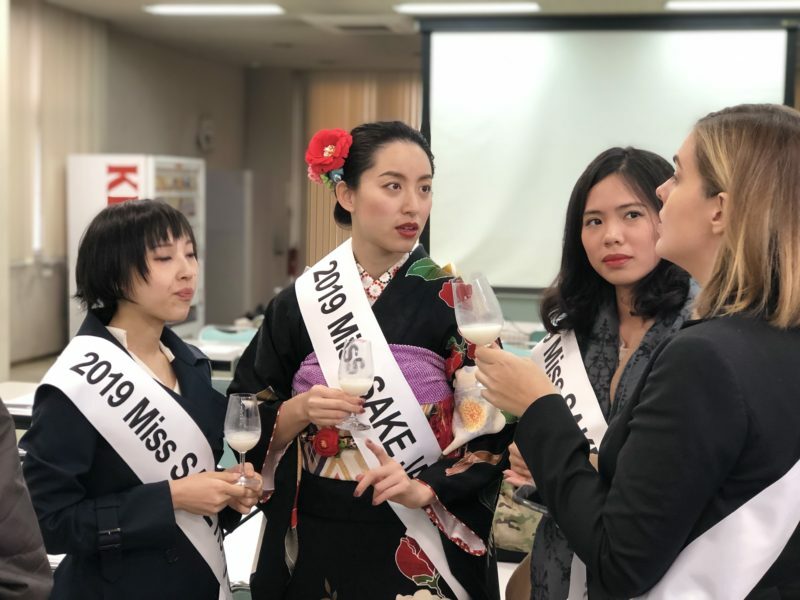 In addition, under the motto “Quality First”, Gekkeikan brewed high-quality sake in 1961 (Showa 36), utilizing the four seasons brewing system to make sake throughout the year and the latest technology. It could be said that the four seasons brewing system that allows sake brewing regardless of changes in the climate is an innovative one that enabled sake brewing in different environments from Japan such as overseas. Gekkeikan which created the systems that allow the people all over the world to enjoy the same quality Sakes as Japanese Sakes has revolutionized the brewery industry. 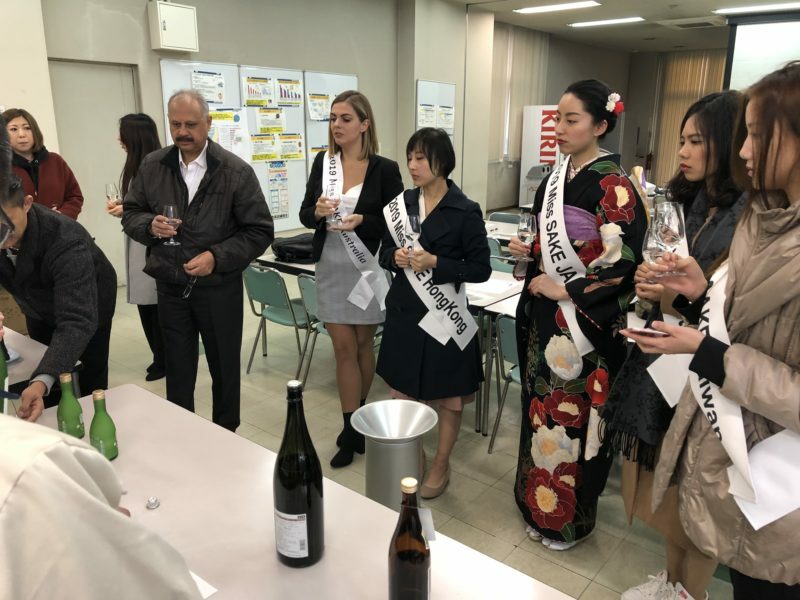 Gekkeikan, which has revolutionized the brewery industry at the aspect of technology, also brought a major impact about the taste of their Sakes on the brewery industry, such as having been awarded a gold medal many times in the past at the National New Wine Dictionary. 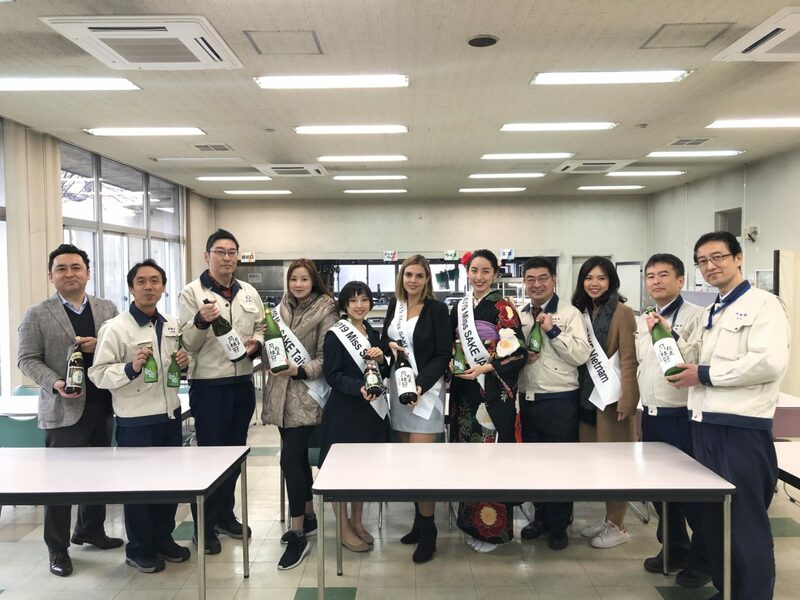 After the tour of the sake brewery, I drank four different Sakes including Gekkeikan Tokusen which won a gold medal in the SAKE category of the International Wine Challenge (IWC) 2018 and Great Value Award. There were very delicious. I could spend informative time and be stimulated a lot by seeing the sake brewing process directly and leaning the process of Gekkeikan that has made a lot of history in the sake brewing industry. Thank you very much for this valuable opportunity.